Sarah's Heart's Home: Fall in Love with Lilla Rose! A Brand new Flexi Clip! 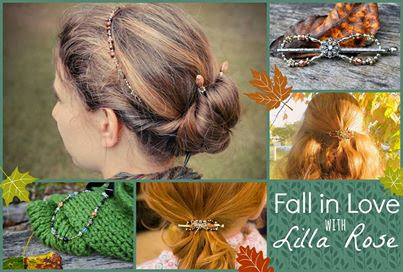 Fall in Love with Lilla Rose! A Brand new Flexi Clip! And it's here! 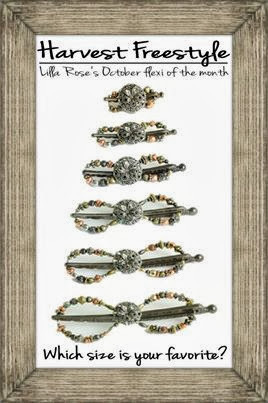 October's beautiful and versatile Flexi of the Month! The colors are the perfect blend of Autumn and Winter browns, rusts and sage. This clip is a must have addition for any fall wardrobe. 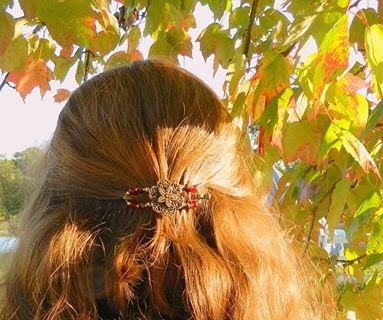 The colors have potential to match and blend with most anything, making this clip your go-to clip for the Fall season. Available in sizes all the way from itty bitty Mini, all the way up to X-tra large, this clip will fit any hair style. And if you are wanting to mix and match some lovely colors, or add a little extra flair to your hair style, do what I often times do and add a headband to the mix! 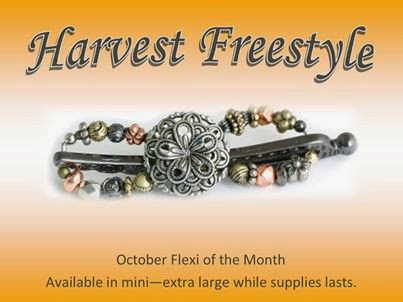 There are several beautiful ones that would match nicely with the new Harvest Freestyle! Or if that particular clip does not suite you, how about the Festive Fallen Leaf? I have this one in a Mini and love doing my hair half up with it. Can I help you with sizing? Or perhaps you'd like to host an online party? Or become a consultant? 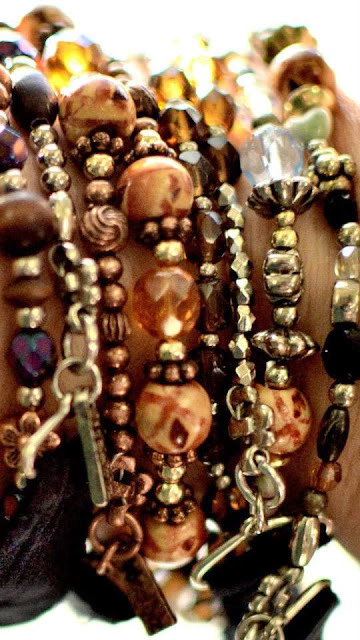 I'm willing to answer any questions, just leave a comment below or drop me an email when you visit my Lilla Rose website! or check out my Facebook page for hairstyling pictures and ideas!